● When you receive a picture/audio/video file(s) and share the same file with another contact via any app. In such cases, multiple copies are created. ● When a file is accidentally downloaded twice or thrice from the internet. ● When Android backup apps take a backup of your device. 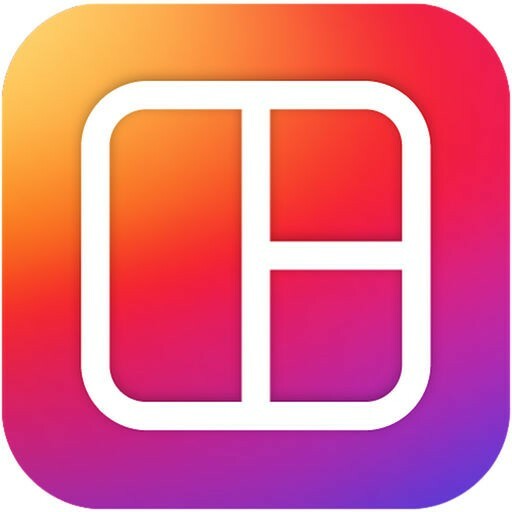 ● When Android media apps create cached images or thumbnails. There are a lot more cases where duplicate files are created and unnecessarily occupy space on your Android device. Don't worry though, this duplicate cleaner will not only let you remove such files, but will also let you preview them before you go ahead and delete them. 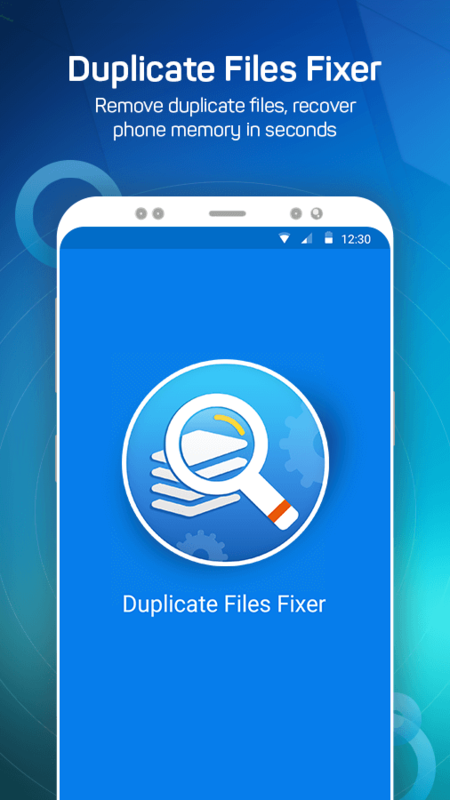 Why you'll love Duplicate Files Fixer? 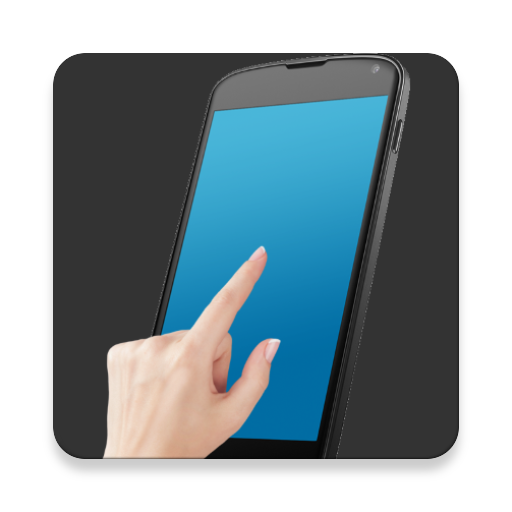 ● Intuitive UI:The interface is 100% user friendly. With its dual themes - Classic & Material, it extends amazing UIs to users. Both the themes vary with their interface. The former is for users who want to keep things simple and plain. If you like to mix things up, then Material Theme is the way to go. This theme is designed with the coolest of aminations and shows categorized results. You can access these themes from the settings of this duplicate file finder app. Also, you'll love the color combinations. ● Super-Fast Scan Engine: Scanning for duplicate files can be done at lightning fast speed. Thanks to the intelligent algorithm used, duplicates can be scanned within seconds! ● Preview Files: Be sure of what you're deleting by previewing duplicate files before deleting them. Either of the themes of Duplicate Files Fixer provide clear and complete preview of duplicate files. In addition to this, Material Theme labels the duplicates under various categories. And yes, you can see the location of these duplicates within these results. 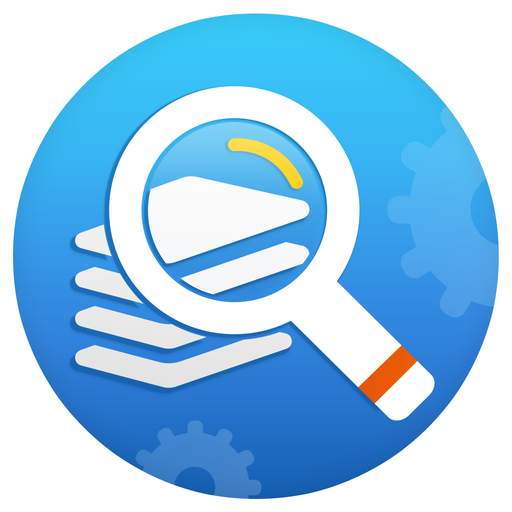 ● Exclude Folders:You can exclude folders of your choice from being scanned for duplicates files. 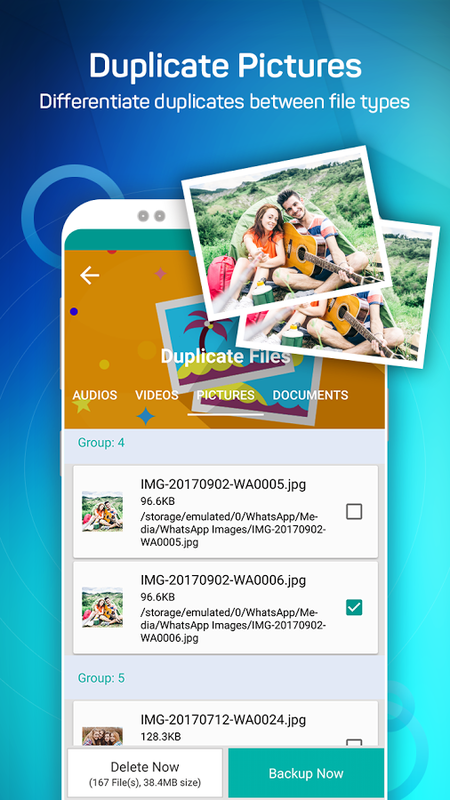 ● Scan any file type:You can scan media files such as Audio, Videos, Pictures & Documents for duplicate files. Scan them by category or all at once, your choice! ● Multi-lingual support: This duplicate file remover app supports 14 languages in total, including German, French, Japanese and many more. ● Mark Options: This duplicate cleaner app allows you to mark duplicates via 4 alternatives i.e. 'Mark All except First', 'Mark All except Last', 'Unmark All' & 'Unmark Shortest File Location'. Now you don't have to mark the duplicates manually. Just select one of these options and you're good to go!